Pepperl+Fuchs is a leading developer and manufacturer of electronic sensors and components for the global automation market. Continuous innovation, enduring quality, and steady growth guarantees continued success, since more than 60 years. 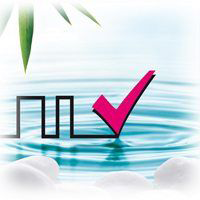 Pepperl+Fuchs employs 3,700 people worldwide and has manufacturing facilities in Germany, USA, Singapore, Hungary, Indonesia and Vietnam, most of them ISO 9001 certified. 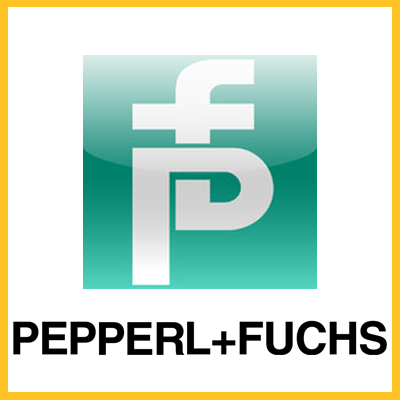 Pepperl+Fuchs is a global market leader of industrial safety equipment for intrinsic safety and explosion protection technology. 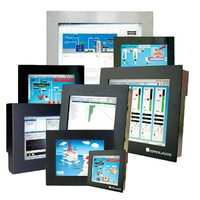 We offer a complete range of solutions for the process automation industry that includes intrinsic safety isolators, zener barriers, signal conditioners, field bus technology, remote I/O, HART interfaces, Human Machine Interfaces (HMI) for hazardous environments, custom cabinets, junction boxes and separator alarm systems. 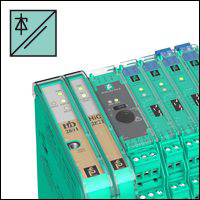 Signal conditioners take signals from an assortment of field instruments such as thermocouples and RTDs, and convert those signals into any of several standard instrument signals (1…5V, 4…20 mA, etc.). Signal conditioners are also beneficial to the accurate transfer of these signals, isolation and the elimination of ground loops. 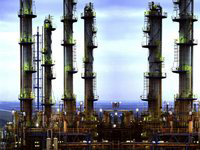 Intrinsic safety barriersare the core of Pepperl+Fuchs’ product portfolio. These intrinsic safety modules combine the energy limiting features of a zener barrierwith galvanic isolation. Pepperl+Fuchs offers systems for different applications and mountings. 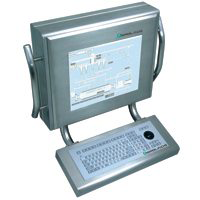 Remote I/O systems– RPI, LB and FB – are the cost-effective connection of your field signals in the hazardous and the safe areas to your process control system via the field bus. 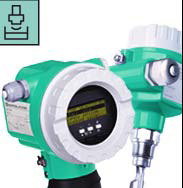 Level measurement technologyis the basis for management and process control in the chemical, petrochemical, environmental and other related industries. EPS Purge/ Pressurization products offer a safe and economical approach to installing electrical equipment in hazardous locations. By creating a safe area inside a standard enclosure, general-purpose equipment can be used in hazardous (classified) areas. Industrial Monitors + HMI Solutions – Pepperl+Fuchs offers a wide range of visualization and HMI solutions from operator workstations like Panel PCs, Remote Monitors or industrial monitors to compact, high-performance operator panels.Our HMI solutions are rugged, industrial products designed for hazardous areas and heavy-duty use as well as for clean room and GMP-related applications. The product range includes a full complement of accessory components for customized solutions. LEVEL Products, Point & Continuous Measurements: Measures a process by responding to a predefined range with a digital output, proportional 4-20mA or fieldbus signal. Ideal for liquid level or solids measurement. Models suitable for hazardous location are also available. 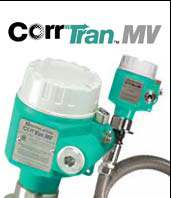 CorrTran MV, Corrosion Monitoring Transmitter: A single product evaluates general & localized (pitting) corrosion & conductance. 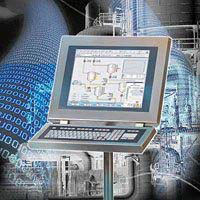 Provides a corrosion rate as a process control variable online & in real time. A wide range of process connections and probe configurations are available. 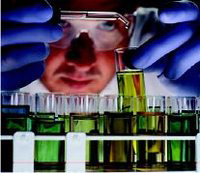 Improving production + safety the pharmaceutical industry relies on Pepperl+Fuchs to provide safety and availability fortheir plants . Pepperl+Fuchsoffers industrial equipment for: Batch reactors,Fermentation, Retorts, Centrifuges, Mix Tanks,Weighing applications, Bulk Storage, Analyzers &FDA 21 CFR part 11 compliance. The chemical industry relies on Pepperl+Fuchs to enhance: Productivity, Profitability, Product Quality, Plant Safety & Availability. 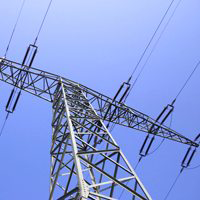 In many power plant upgrades, the power generation industry is adopting digital data transfer via field bus. The field bus permits he remote parameterization and reading of maintenance information; which the field device reports automatically to the control system technology. The capital expenditures for these power plants are justified by low maintenance effort & longer, reliable, system operation.